Toni Kroos kept Germany's World Cup hopes alive, salvaging a second chance from the jaws of premature elimination for the defending champions against Sweden on Saturday. 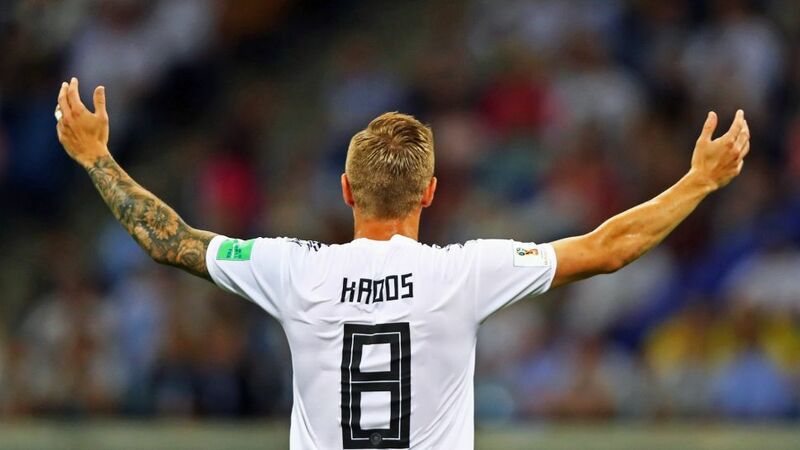 Following that 95th-minute strike, Kroos' name is already on the teamsheet that coach Joachim Löw submits for his side's final group fixture against South Korea on Wednesday. A blank will need to be filled in alongside the former Bayer Leverkusen and Bayern Munich midfielder, however. After Sami Khedira played the first game, Sebastian Rudy started the second and Ilkay Gündogan replaced him after injury in the first half, several options have already been tested. bundesliga.com runs the rule over all of Löw’s midfield options alongside Kroos, ahead of Germany’s pivotal final group stage game. If it is a goalscoring threat that Löw is looking for, meanwhile, then Bayern-bound Goretzka could be a more viable alternative. The 23-year-old has an outstanding record of six goals in just 15 caps for Germany, albeit starting regularly in a more advanced position than the one Löw will be looking to fill on Wednesday – unless some tactical tinkering is undertaken. Comfortable on the ball with excellent close control and a burst of pace, the Schalke product could be the ideal link between defence and attack when, inevitably, Korea look to score the goals they need to keep their own qualification hopes alive. Indeed, with no alternative but to win the game, Korea can be expected to come at Germany, whose most potent weapon could then be their transitions - just the area in which Goretzka excels.